Can't jet off to London for the runway shows this weekend? Yeah, me either. But, fortunately, Popchips is bringing some of the glamor to the Boston 'burbs, thanks to their partnership with new brand ambassador Katy Perry. 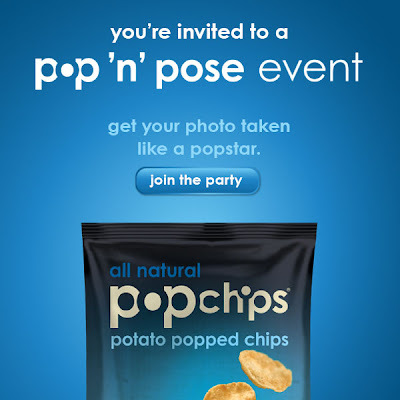 Join Popchips this weekend at the Burlington Mall's center court as they celebrate the pop star's wild, trailblazing style with a Pop 'n' Pose event for fall shoppers. The Popchips lounge will feature makeover stations, a pop-up fashion show, live dj, an interactive photo booth, and (of course) a snacking station. While you're there, you can also enter for a chance to meet Katy Perry herself. The fashion show starts at 2 PM on Saturday, but the lounge will be open from noon to 8 PM all weekend. RSVP here, and have fun! what a funny marketing event- sounds like fun! Will you be there too? I'm going on Saturday! I wanted to go, but I already have plans. Have fun! Sounds like it's going to be loads of fun ... Hope you're having a great week!